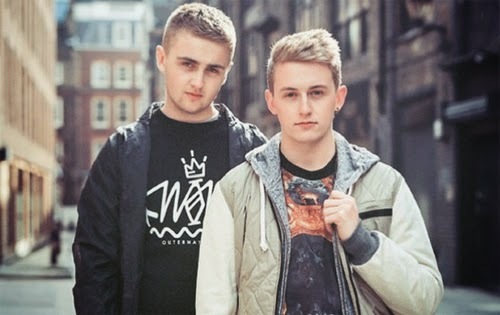 Influential dance act and gap year lookalikes Disclosure popped into Radio 1 last night to play the first single from their new album. Holding On features guest vocals from jazz singer Gregory Porter and sounds exactly like you'd expect - soulful melodies, cavernous bass and a tedious "get on with it" intro. Howard Lawrence told Radio 1 he'd written the song with Porter and Jimmy Napes (Rather Be, Stay With Me) in his East London studio, but it sounded nothing like the released version. "It was half the speed, half the tempo, really, really slow like a ballad," he said. "Then me and Guy essentially remixed our own song." "They just gave me an acapella," Guy added. "They wouldn't even tell me the chords underneath! "Hopefully one day Gregory will perform the original song, because I don't think people will quite believe which one came first." I'd quite like to hear the original, too because (whisper it) the Disclosure version is pretty boring.